VACANT -Spacious and move in ready. Hardwood floors in living and dining. Vaulted ceilings. Living room with corner fireplace and sliding doors to deck. Kitchen has granite counters, stainless appliances and pantry. Master bedroom has large walk in closet with custom built-ins. Master bath with whirlpool tub, separate shower, large custom cabinet over whirlpool. Downstairs has 2 bedrooms which share a full bath. Laundry room and huge media/bonus room with adjoining covered side porch. Backyard has covered patio and large paver patio with custom firepit. Family friendly Pooler location. 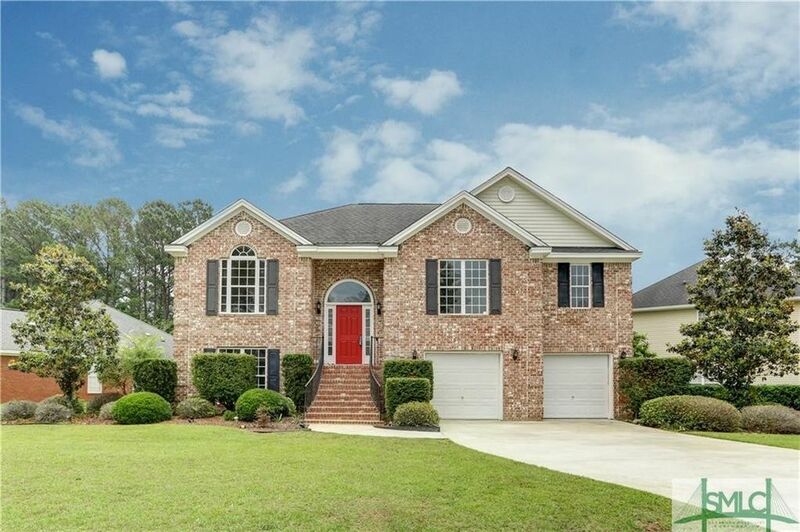 Minutes to Pooler Parkway and dozens of restaurants and shopping. Yet this quiet circle street provides a safe haven for your family. Come Home to Cooper Creek Circle.